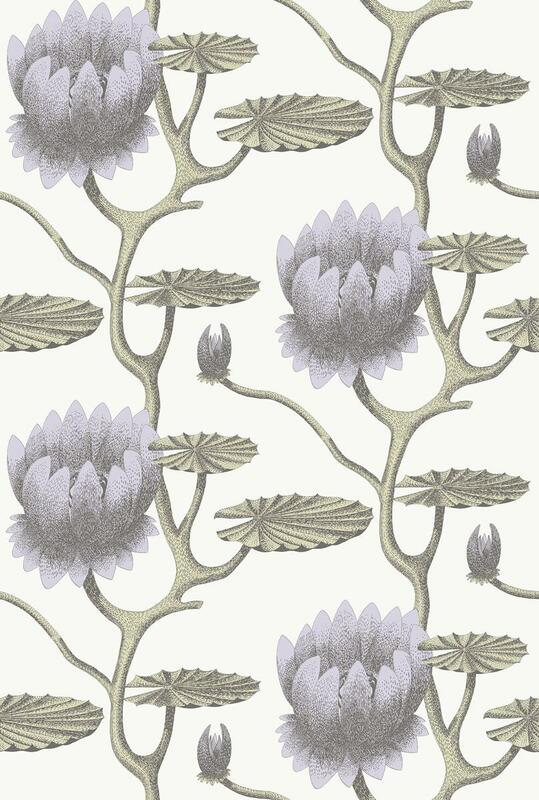 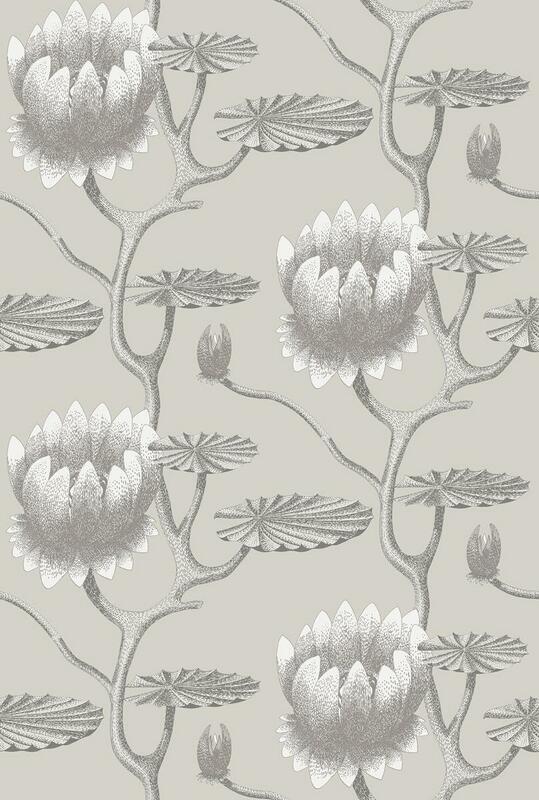 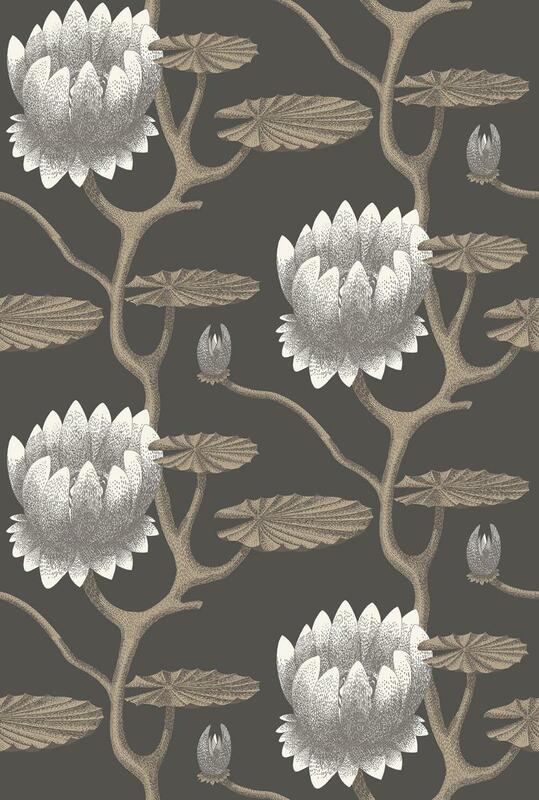 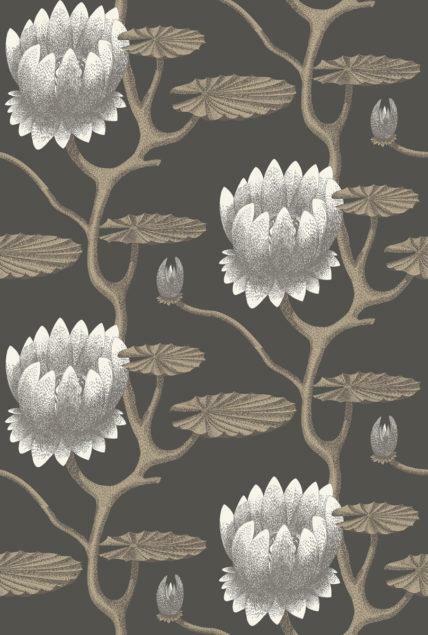 The original Cole & Son Lily design has been printed at a smaller scale and in botanical colour-washed tints of aqua, lilac, sage and chalky neutrals. botanical colour-washed tints of aqua, lilac, sage and chalky neutrals. 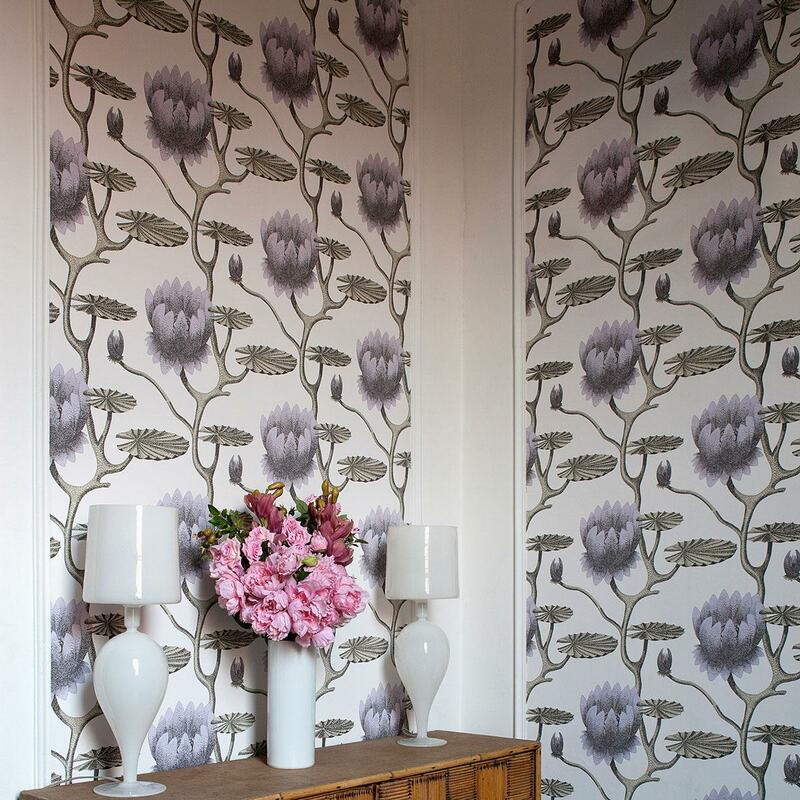 The print comes in wide width 68.5cm rolls.